Britain's Prince William was elected by midwives at St Mary's hospital in London to change Prince George's first nappy. Britain's Prince William was elected by midwives at St Mary's hospital to change Prince George's first nappy. 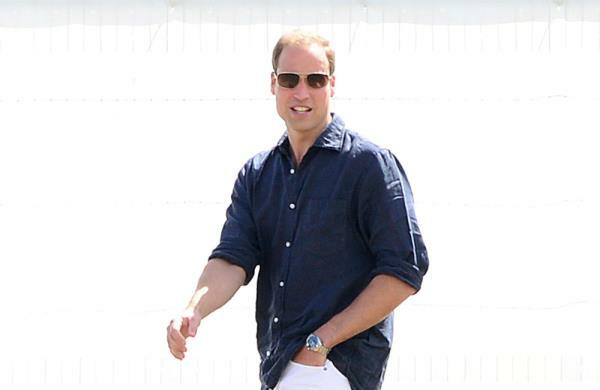 The Duke of Cambridge welcomed his son into the world with wife Kate on 22 July in the Lindo Wing at the London hospital and admits he was pushed by the health professionals to do the first nappy change. He added, "But he's a little fighter. He wriggles around quite a lot. And he doesn't want to go to sleep that much, which is a little bit of a problem." The royal couple have hired William's former nanny Jessie Webb to help them care for the third-in-line to the throne and she was previously spotted assisting the duchess as she stopped off at a McDonald's car park to feed the tiny tot while en route to Kensington Palace, London. Jessie had been helping William and Kate at their home in Anglesey, north Wales, and the 71-year-old nanny is now expected to assist them during their trip to Scotland, while they visit the Queen and Prince Philip. Ingrid Seward, author of upcoming book A Century of Royal Children, said previously of Jesse, "She'll be like a safe pair of hands. She knows the ropes and knows what happens. "That's preferred rather than someone new to it all, someone who'd be terrified of it all."